Lairs and Lizards - Updates - WAKFU, The strategic MMORPG with a real environmental and political system. STASIS DUNGEONS: ADJUST THE DIFFICULTY OF A DUNGEON! This new feature will allow you to adjust the difficulty of a dungeon as you like. Has the Gobball Dungeon become too easy for your liking? Correct it by corrupting the monsters with Stasis! And on the other hand: the krazy Kanniballs getting you down? Lower the difficulty and come back later to put them in their place. With this new feature, you will gain experience and rewards according to the difficulty set! By default, dungeons will be set to Rapid or Normal difficulties. By completing the dungeons at these levels, you’ll unlock the harder difficulties! For example, the famous Gobball Dungeon will need to be successfully completed at difficulty 20 to unlock difficulties 21 to 30! The new dungeon entry interface will allow you to keep an eye on the difficulties you have unlocked. In conjunction with the Adjustable Level System, you can, at the click of a button, set the level of your character and adjust it to the level of the dungeon. 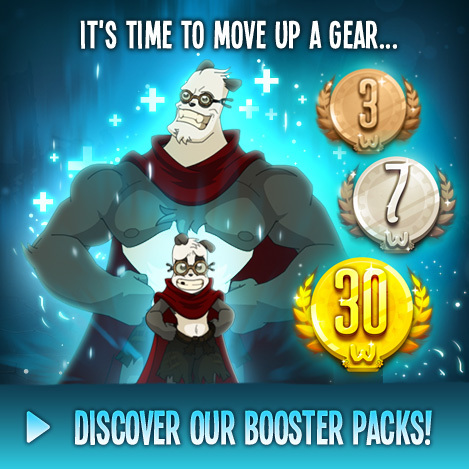 The keys, required to access WAKFU’s dungeons, have been removed to simplify the system and reduce the punishment suffered in the event of defeat! You’ll be free to test the difficulties of the dungeon to your liking and put some spice (or rather, Stasis) in your adventure! Find more information about the Stasis Dungeons in this dedicated Devblog! The fifth and final chapter of the epic Quest of Nations arrives in this new update! Direct yourselves to Sufokia to complete the last leg of your adventure. Fret not, for you won’t be alone! The well-known arkaeologists, Laura Craft and Jenry Hones Jr. will accompany you on the final chapter. Not to mention, some extra surprises and twists! Find out more about this last chapter of the Quest for Nations in this Devblog! Bow to the big bad boss of the update, the legendary Nogord Wungleezared! This new Ultimate Boss is for players level 186 and more! He should keep you up and awake for the long winter nights that await. 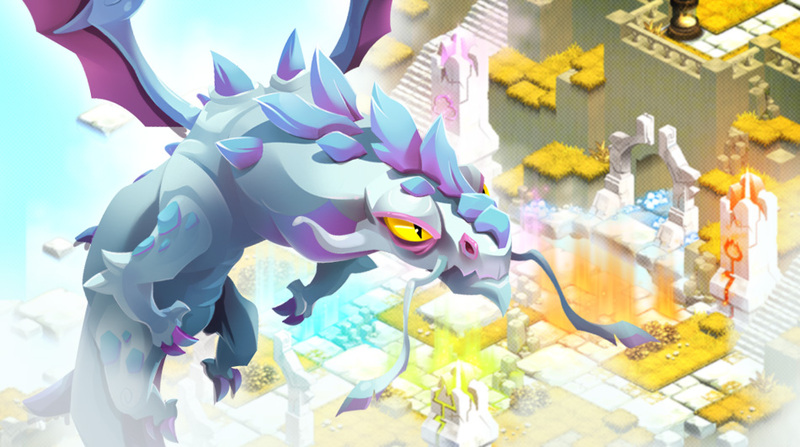 Nogord is a prismatic dragon who has mastered the four elements and his gameplay reflects these. Let us warn you right away, Nogord is terribly powerful and you and your teammates will have to correctly anticipate every move if you want to avoid devastating attacks and come out unscathed! Ha? Still not trembling in your boots? Then know that Nogord has a million life points and under those wings of his, all the cards to roast you, pure and simple! Head to Inglorium to face him in the next update! Eager to be champion of champions? Then take part in our contest to be the first to defeat Nogord! You can find all the details here.